Lurline's Place: One Last Little Thing! 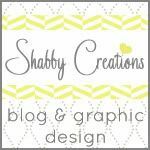 One last little thing to my Giveaway! 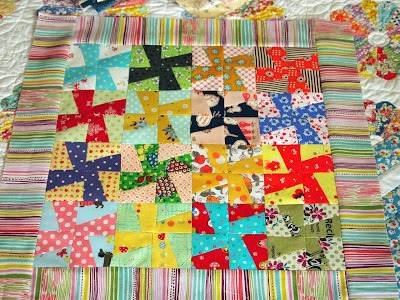 I've decided to give this scrappy little quilt as a gift instead of rushing applique - this quilt is 17" square and the blocks just over 3". Cute as and I will machine quilt today or tomorrow. Notice the Dresden Plate quilt I have on my dining table, there for all to see and enjoy - this one was an award winner too! The little quilt above is part of a BOM I never did finish - must get accurate measurements before it is posted. Here are some repros I have sorted out and the big tidy-up is on this afternoon - while doing this I will pull out my very favourite, bright scraps. You have until tomorrow evening to join in the Giveaway - please leave any Comments on previous Post. Pop over to Jodi's Pleasant Home - she has some very nice things going on there and she would love to hear from you. Oh, that one is just darling! Maybe I need to send my pup over to help pick the winner. She has very good taste. Very cute! And I just love the repro's. Have a great weekend! oh my gosh to own a little quilt made by you what a treasure that would be for me. I love all the bright and beautiful colors. What a sweet little quilt! I'm holding thumbs! That is a fantastic quilt. Such a sweet little quilt Lurline! Love the mini but that dresden plate is really something. Such a nice little quilt.Have fun weekend. Love your little quiltlet! Good to see you pottering along... hope to catch up Tuesday! 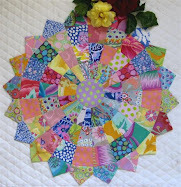 Colorful little quilt! So cute and lovely! 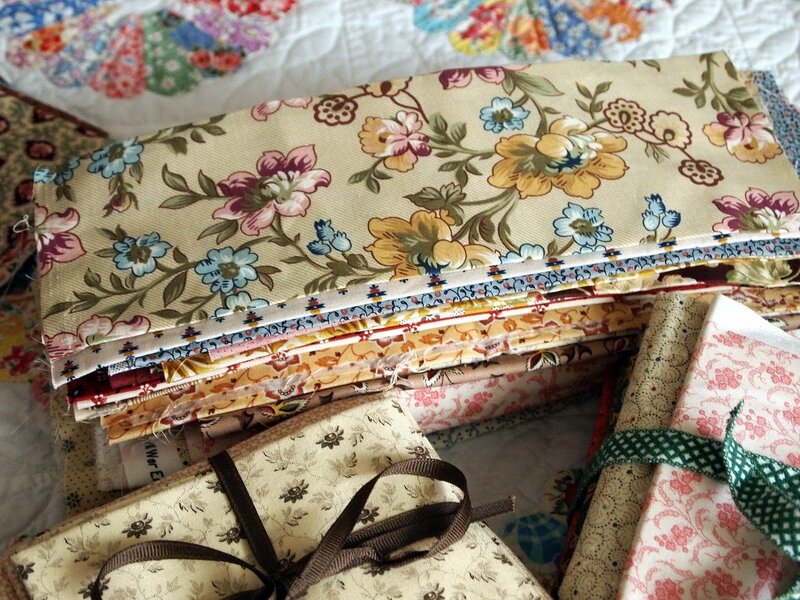 OH my---I LOVE that little quilt! It would go perfectly in my craft room! So adorable! From my Tablet...lovely litte quilt. You now I love repro's!